Import subscribers automatically with our Developer API. The documentation is available at http://developers.status.io. Use the method /subscriber/add to insert new subscribers. Optionally use the silent flag if you don’t want subscribers to be notified of this new subscription. 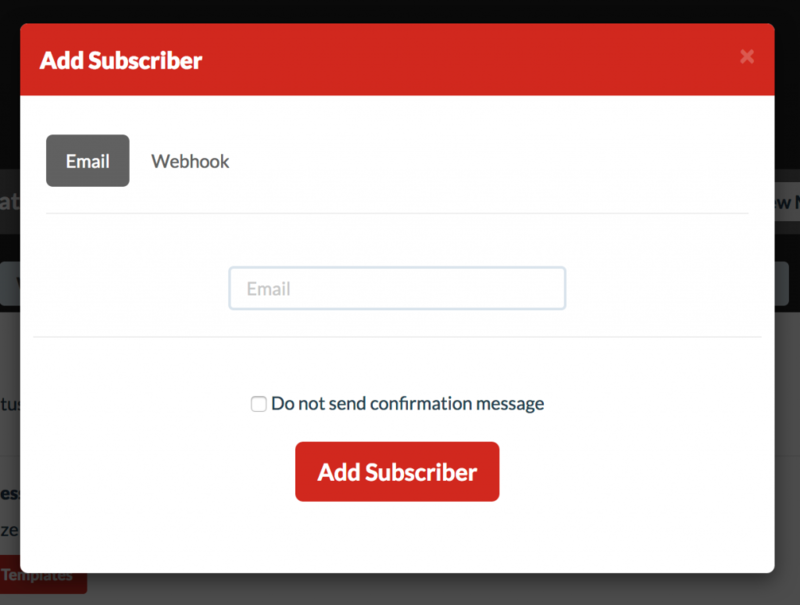 The granular parameter can be used to specify which components you’d like the subscriber to receive notifications for. New subscribers can be added manually one-by-one from the Notifications tab within the Dashboard.